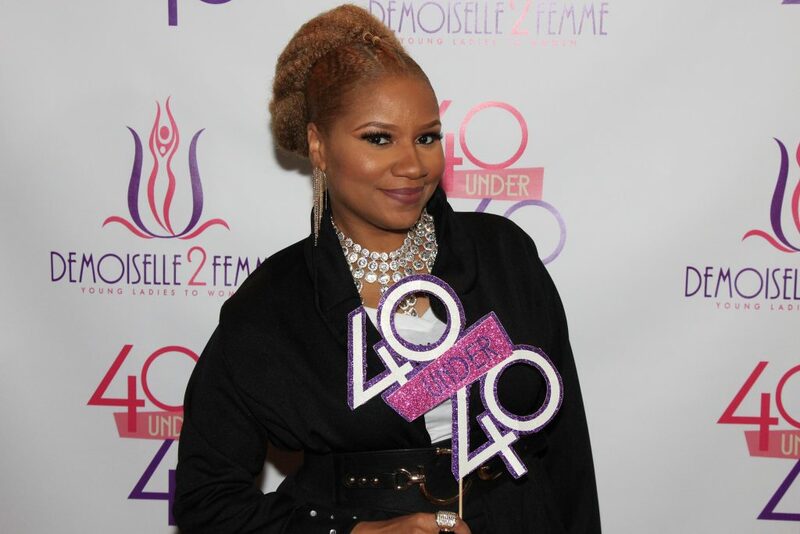 Inductees into the 40 under 40 Young Women’s Professional League (YWPL) celebrate the call to empower women through service, but what exactly is the 40 Under 40 and why should black women care? If you know of another organization in the City of Chicago that is actively bringing together 4o powerful, and professional women for a purpose, I really would like to be pointed in that direction! Because I honestly don’t see it, but please feel free to correct me. Let’s talk about the YWPL 40 under 40. All too often many are very quick to dismiss black women as being a group of women that value convening and assembling with one another for the purpose of lifting each other up–you can thank reality shows and the Housewives for that perception–but there is something special happening in Chicago with an organization of women where the goal isn’t just to hand out an award, but to showcase service. Enter the Young Women’s Professional League (YWPL) 40 under 40. On Thursday, November 30th, now in it’s 3rd year, I had an opportunity to witness 40 amazingly beautiful, professional, and accomplished women of color be inducted into the Young Women Professional League at the Harold Washington Cultural Center in the Bronzeville neighborhood of Chicago. Launched by a young woman where over two decades earlier she herself would find mentoring and direction through a similar organization in the Englewood neighborhood of Chicago–Demoiselle 2 Femme–as a young mom, Cheresa “Reese” LaFrances Purnell launched the inaugural group of the YWPL 40 Under 40 Young Women Professionals League in 2015 to recognize 40 black women that are rising stars in their field of work. Additionally, Cheresa launched the YWPL 40 under 40 to bring together professional, seasoned entrepreneurs and career women to help continue the work of serving young women ages 18-24–where research shows these women are at a higher risk of dropping out of school, engaging in criminal activity, and becoming single moms. So when you think about the driving force behind why this organization was created, it’s clear to see that there is a lack of service, by-and-large, across every area of the black community. The women of the 40 under 40 serve a very viable purpose in helping to turn the tide of a lack of self-love and empowerment among women. This call-to-action for these 40 women require them to do more than just show up to an awards gala to receive an award. There are also high expectations of the women that agree to be inducted into the league, such as participation in organization events and actively mentoring young girls. To date this marks 120 professional women of color that have made a decision to join the YWPL with a commitment to continue to carry the torch of servitude that was pioneered by the founder of Demoiselle 2 Femme and an early mentor to Cheresa, Sherida Morrison. There are several “40 under 40” organizations and award ceremonies in the city of Chicago, most notably Crain’s 40 under 40 which highlights the best and the brightest business executives, government leaders, and leaders in philanthropy. But for those that think that this organization is a farce or a spin-off of Crain’s “40 under 40” or any other more notable recognition event, think again. 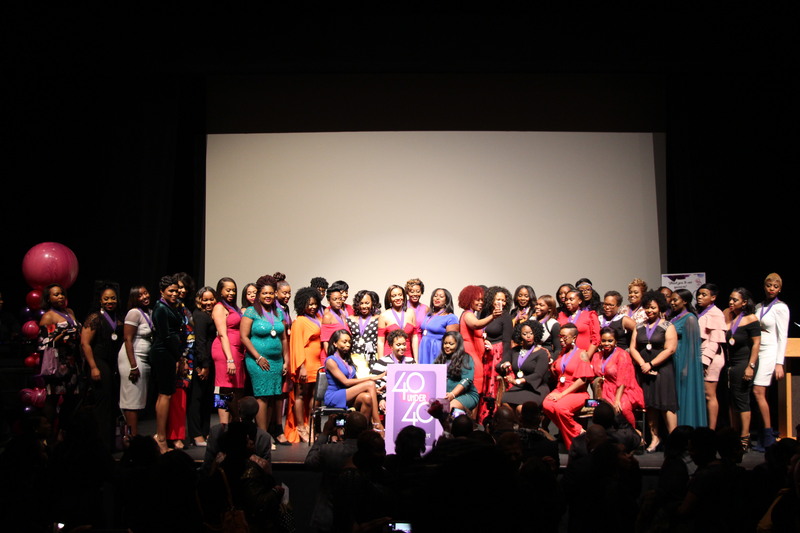 A women’s organization unlike any other, with a concentration on service – The YWPL 40 under 40 is a women based organization, built for women, by women of color. What I saw at the event moved me as I listened to Cheresa and Sherida both speak movingly to the crowd in motivating and empowering all of us to be more. This is an actionable organization that requires the inductees to be active in their participation with the organization and the community, and if there is one thing that I am a fan of it’s actually TAKING ACTION to be better and make those around you better. A network of women helping each other coupled with giving back – This is my 2nd year attending the event and it was very clear to me that the love and support for this movement had grown from the year before. This organization has several programs where they pair inductees with women ages 18-24, they provide scholarships to women to help them attend college, and they also provide job and career training opportunities. Not only do they work to support young women of color, but they also host quarterly programs to help train, and educate the inductees as well. This organization is in it’s infancy and with the myriad of not-profits that are geared toward helping people of color this is an organization that is poised to have a huge impact in Chicago. The opportunity to join and grow a grassroots movement in it’s infancy with service in mind – If you are a professional woman in the City of Chicago and you’re interested in being part of a movement that is growing year, over year, this is the organization for you. In it’s 3rd year the number of women applicant’s has more than doubled, and the executive board already has plans to expand Nationally and create other 40 under 40 chapters across the United States. There is also talk of launching a men’s 40 under 40 and that would definitely be exciting to see!